I go on weekend bake off furies sometimes when for once I don’t have a millions things to do and places to go. I love these weekends, I pump up the jams, I may or may not of changed into proper clothes rather than my pjs and I get cooking a whole stack of recipes that I’ve had my eyes on for a while. This post is one of those recipes. 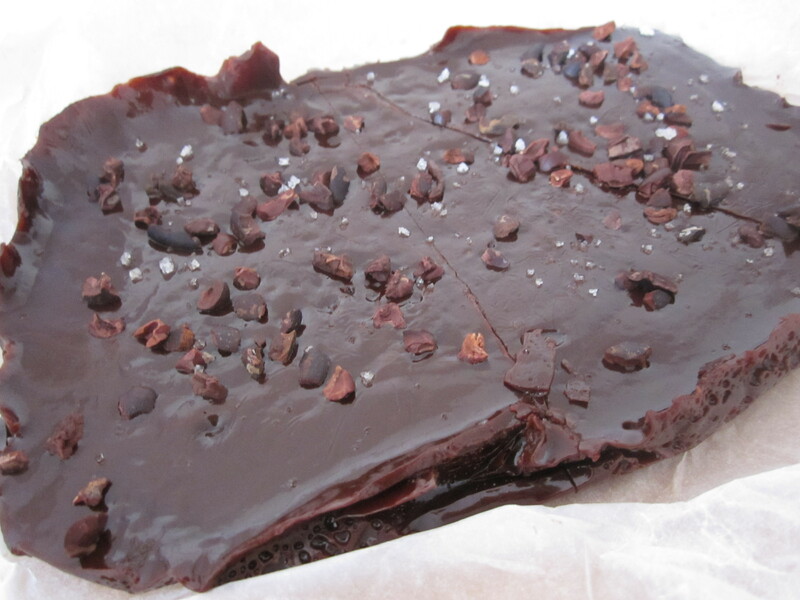 Chocolate, Cocoa Nibs and Sea Salt Caramel. Now I may of been watching an episode of Orange is the New Black whilst cooking this recipe and in doing so I may of reduced the caramel down a little bit too much so the caramel is a lot harder than normally expected. Still really tasty but mind your teeth!! I have now named this The Tooth Breaker! When making this, maybe don’t watch a tv series while making it…. Line an 11-by-9-inch baking pan with parchment paper and set aside. 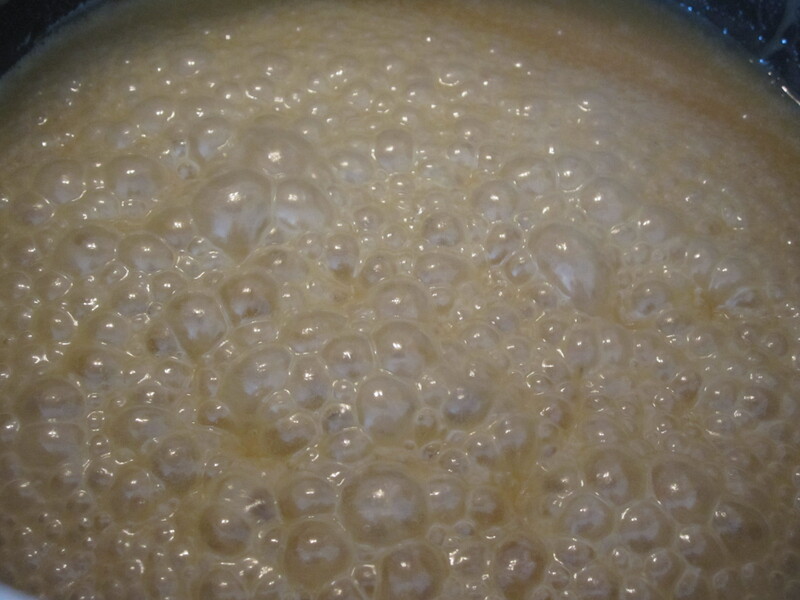 In a heavy saucepan, combine half the cream, golden syrup, sugar, and salt. Bring to a boil over medium heat, stirring occasionally, for 15 to 20 minutes, washing down sides of pan with a pastry brush dipped in water as needed to remove any stray sugar crystals. When the temperature reaches 220 degrees, add chocolate and butter and return to a boil. Slowly add the remaining cream. Cook at a gentle boil, still stirring, until temperature reaches 240 degrees (soft-ball stage), another 30 to 40 minutes. Immediately pour mixture into prepared pan (do not scrape the pot). 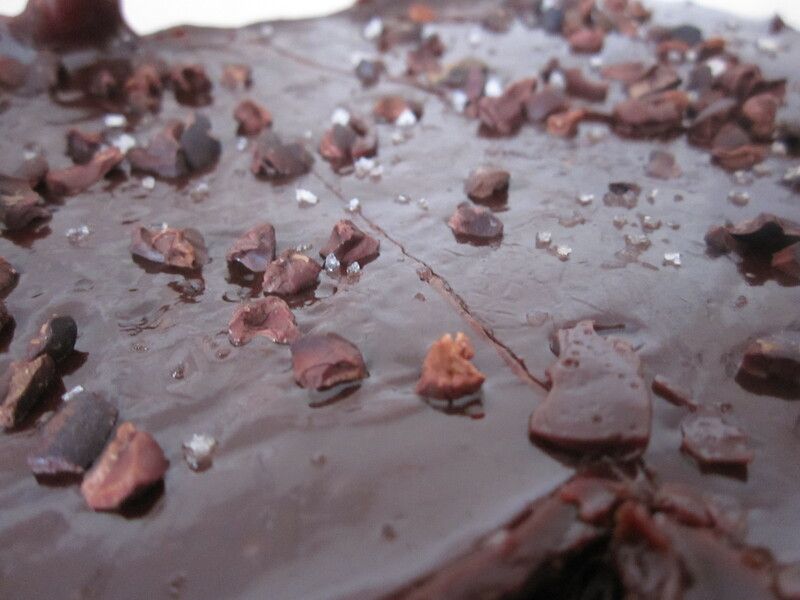 Sprinkle with cocoa nibs and sprinkle over the sea salt. Let stand uncovered at room temperature for at least 4 hours without moving. When cool, lift out of baking pan using edges of parchment paper as handles. Using a large buttered knife or a pastry cutter, cut into 1-by-1 1/4-inch logs. Wrap each piece in waxed paper.